First, we’ll need to configure the NoSQL database server as an external tool in JDeveloper. 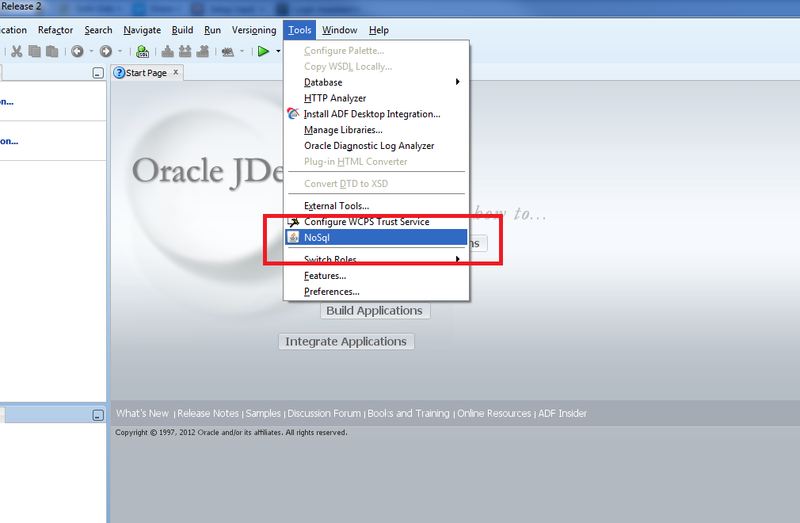 Select Tools>External Tools. 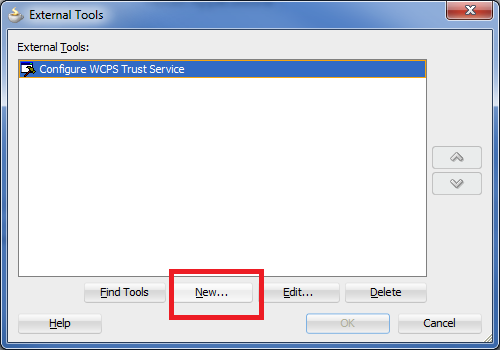 In the External Tools window select New. 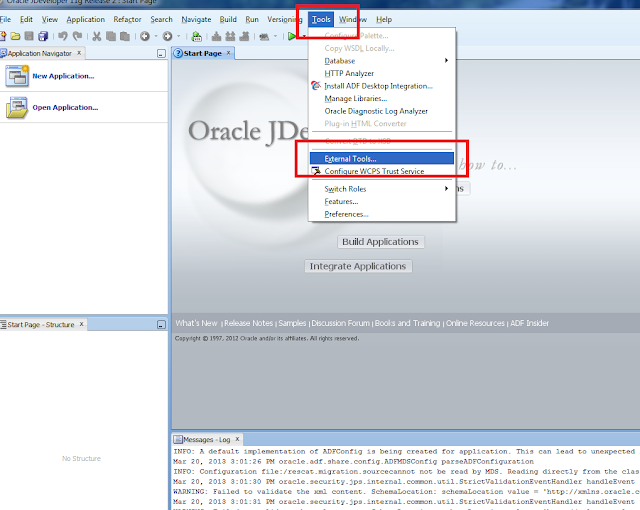 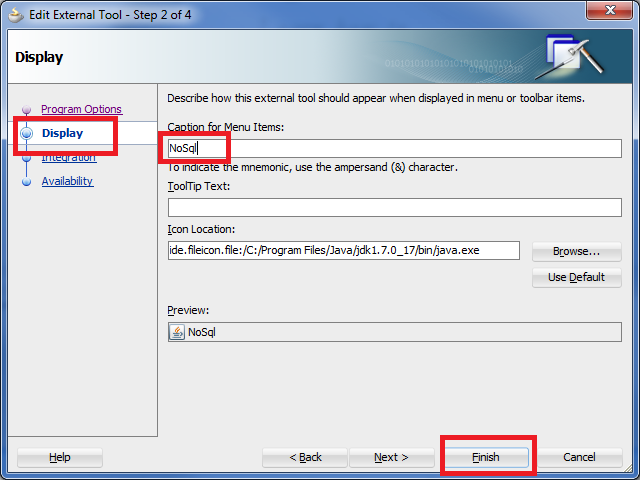 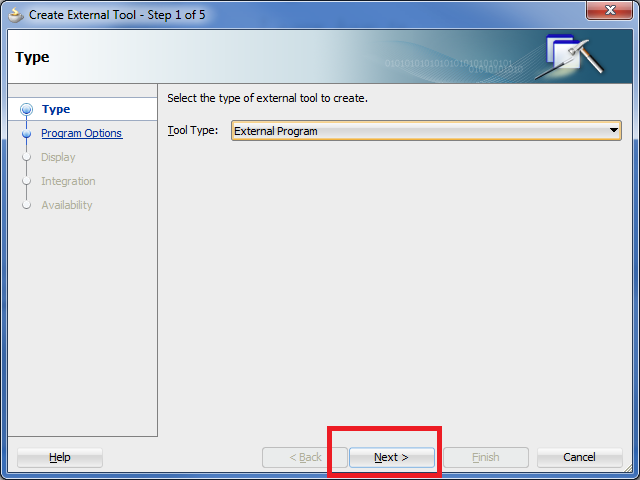 In the Create External Tool wizard select Tool Type: External Program and click Next. 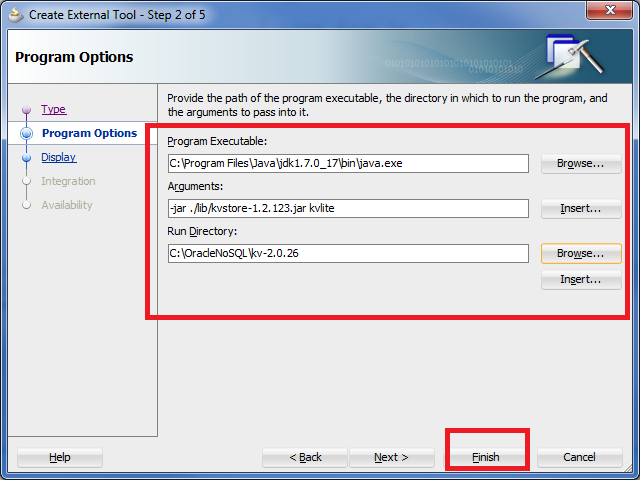 In Program Options, specify the following program options.